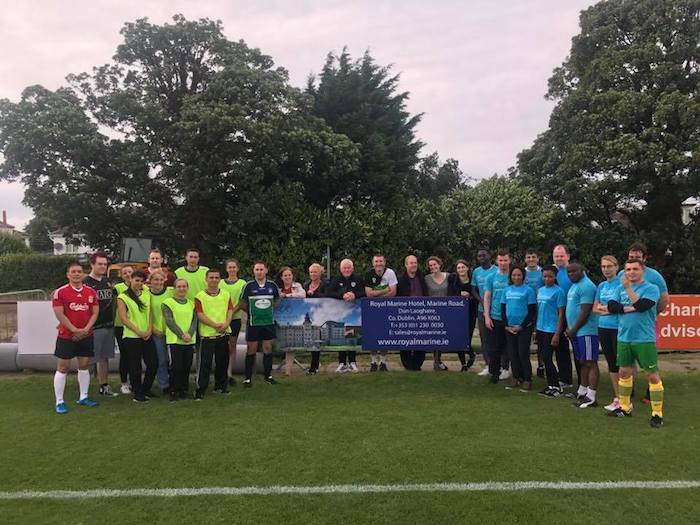 On Wednesday August 16th, our sponsors the Royal Marine Hotel hosted their annual charity football match at Stradbrook. We were delighted to be able to facilitate our valued sponsors in their efforts to raise funds for Breakthrough Cancer Research. Pictured are the staff of the Royal Marine Hotel along with Director of Football and First Team Manager Pat Devlin and First Team Player Jason Byrne.